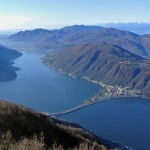 In the area of ​​Como and Lecco sides of the lake (first basin) you can find ski areas to suit all levels of difficulty, that are offering also alternative activities such as cross-country skiing, treadmill for bob or sled, walk with traditional snowshoes, ski-touring, snowmobiling and skating rinks. Snowshoes are the traditional ‘rackets’ that allow you to walk on snow: a sport that allows you to enjoy the beauty of our mountains in winter when snow covers the peaks. As in summer, in winter itineraries are really a lot. A good start may be the choice of one of the ski resorts such as Artavaggio and “Piani di Bobbio” (Valsassina) (about 1 hour and half from our hotel) from which begins the path that crosses “Pian delle Betulle”. Is it also possible to follow one of the many paths and tracks suggested by associations such as the CAI (Italian Alpine Club), that is always available to give informations and provides services and support for excursions with professional mountain guides. Among the most classic and popular destinations for snowshoeing, we recommend “Piani d’Erna”, above Lecco, Alpe Cainallo of the Grigne’s Park and the center lake zones. 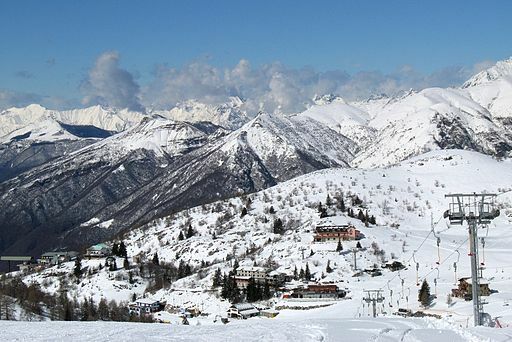 Without having to reach the large Alpine ski more known, it is possible to ski in the ​​Valsassina’s area (From “Piani di Bobbio” and Valtorta, 36 km of ski slopes and 8 lifts, to “Pian delle Betulle” with 12 Km) and in the nearby Intelvi’s Valley. All them are equipped with food or sport services, as equipment rental, locker rooms, ski school. Don’t forget that for freestyle lovers at “Piani di Bobbio” is available a snowpark. “Piani di Bobbio”. Here you can find two rings (15 km in total), one is used for national and international competitions FIS. 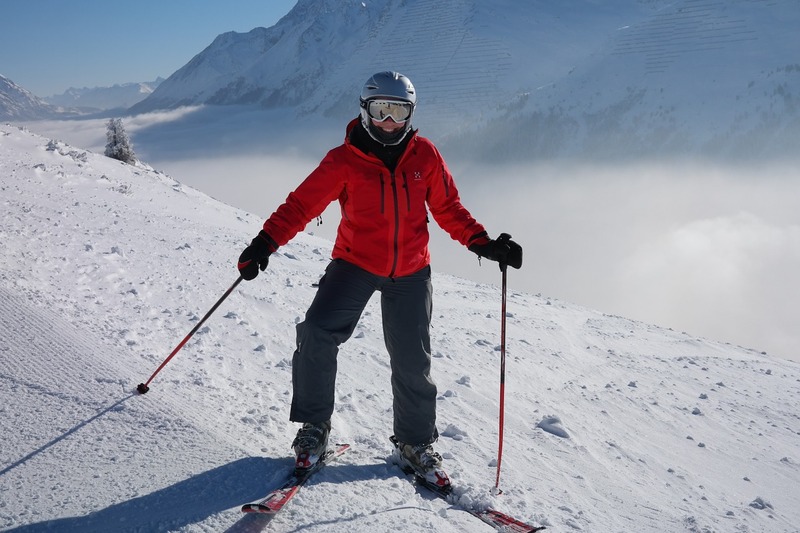 There are also ski school and assistance for your technical equipment. “Cortabbio di Primaluna”, is one ring of 5 Km (which is also used for official games) and services like floodlit and artificial snow for 2.2 Km. “Alpe Giumello”: 1 ring, 3 Km, medium difficulty. “Esino-Cainallo”: 1 ring, 2 Km. Wonderful trails with free access, surrounded by a quiet forest and with a unique view of the Larian Triangle. “Val d’Intelvi” (Pian delle Noci): 10 km of red and green runs. 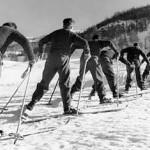 “Pian del Tivano”: two runs (one black and one blue) of 5 km each with services such as night lighting and ski school. Snow is synonymous of fun, and certainly it must be like this for the whole family. That’s why there are special tracks for inflatables raft, bobs, sleighs (at Piani d’Erna you’ll find special areas) and small treadmill (at Piani D’Artavaggio there are four) to allow smaller skiers and who has his first contact with the snow to have fun anyway. 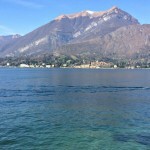 Whether, Lake Como is really to live 365 days a year: summer, autumn and absolutely even in winter. The Hotel Posta in Moltrasio, about 15 minutes from Como, is easily accessible by public transport. Remember that when you are coming back to the hotel, in our La Veranda Restaurant you cantry typical Larian dishes, concluding your day in the best way and in the name of the local tradition. Do not miss the promo 1 + 1, that is perfect for this period: a night you is FREE! Here all the details. I, Patricia and all the staff are waiting as always…with a smile!